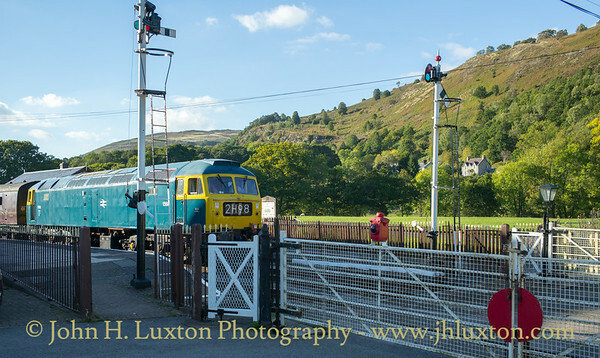 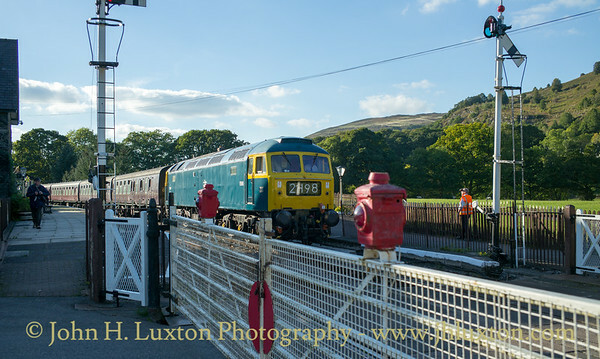 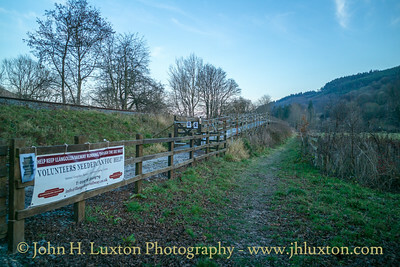 God's Wonderful Railway though the Dee Valley - -Llangollen Railway photographed during 2018. 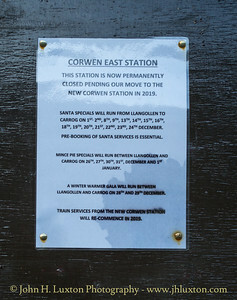 Corwen East Station closure notice. 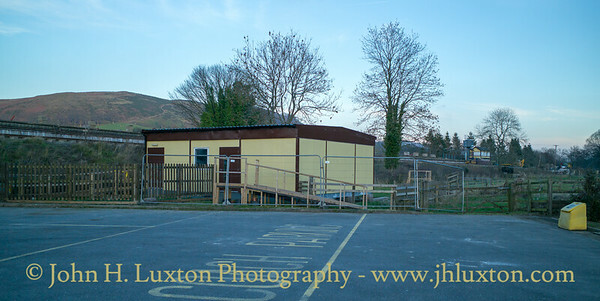 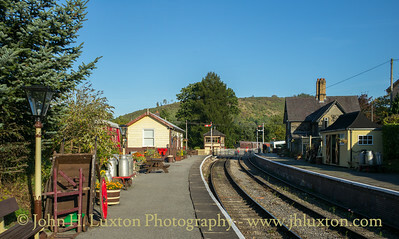 Corwen East Station appears very much intact as yet - only the fencing panels have been removed in the weeks following closure and the curtailment of the service at Carrog. 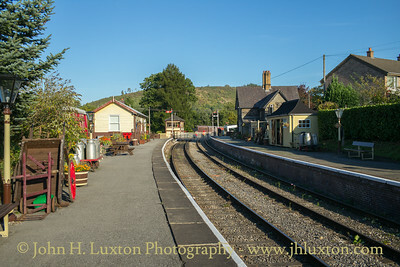 The gap between Corwen East (right) and Central (left) remains. 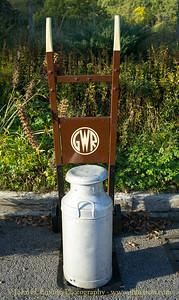 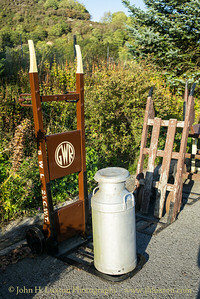 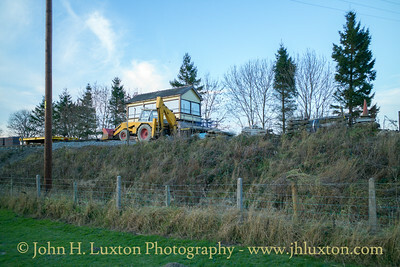 The Western Rhyn signal box - this has been stored at Carrog since 1991 in anticipation of its installation at Corwen. 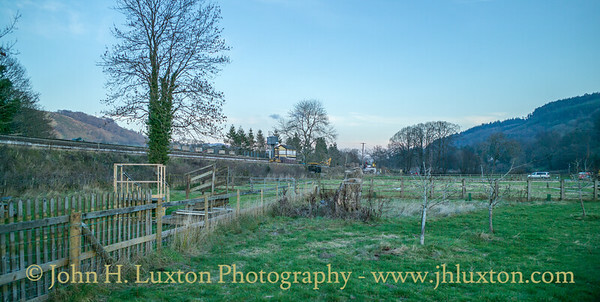 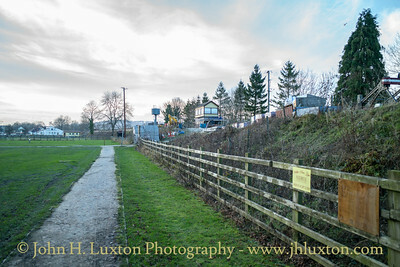 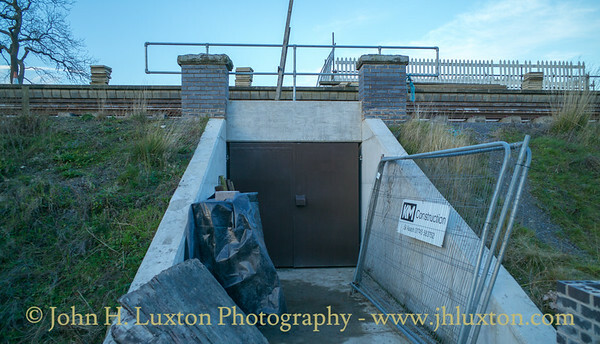 The new water tower and former West Rhyn signal box now in place. 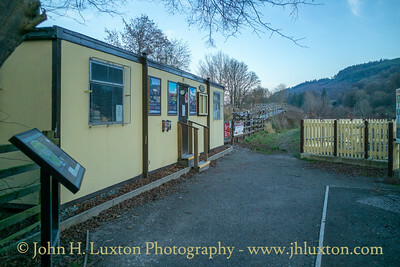 The subway entrance to the station. 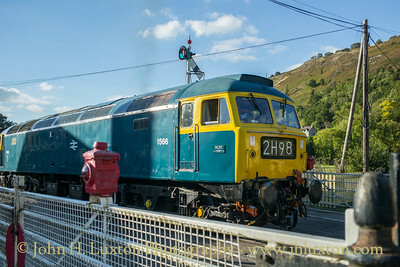 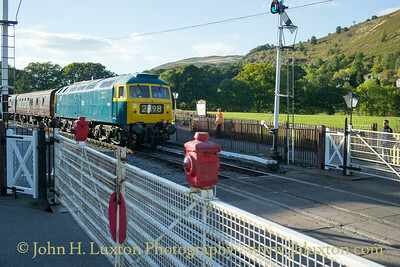 Brush Type 4 D1566 (Class 47/4 47449), built at Crewe Locomotive Works, 1964 seen on the 16:15 Corwen to Llangollen train at Glyndyfrdwy.